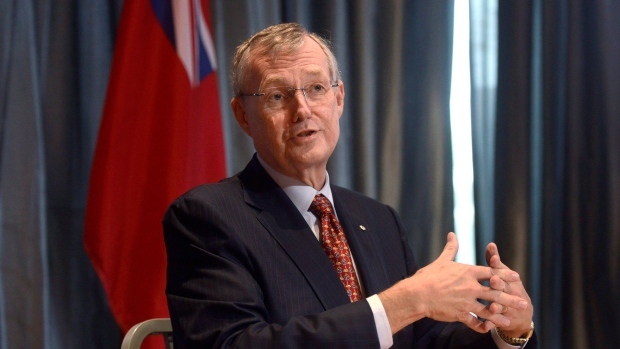 TORONTO - Ontario's Progressive Conservative government says the chair of the Liquor Control Board of Ontario will step down at the end of the month after less than a year in the job. In a news release issued Friday evening, Finance Minister Vic Fedeli says Ed Clark will resign his post at the Crown corporation on Aug. 30. Clark took on the job in January under the previous Liberal government, earning a symbolic salary of $1 per year. The corporation, in charge of the sale of alcoholic beverages across the province, had also been tasked under the previous government with the sale and distribution of recreational marijuana once it becomes legalized in October. But those plans were plunged into uncertainty amid published reports that the province would allow private sector sales of the recreational drug. Premier Doug Ford has not confirmed or denied the reports, saying only that an announcement would come later.